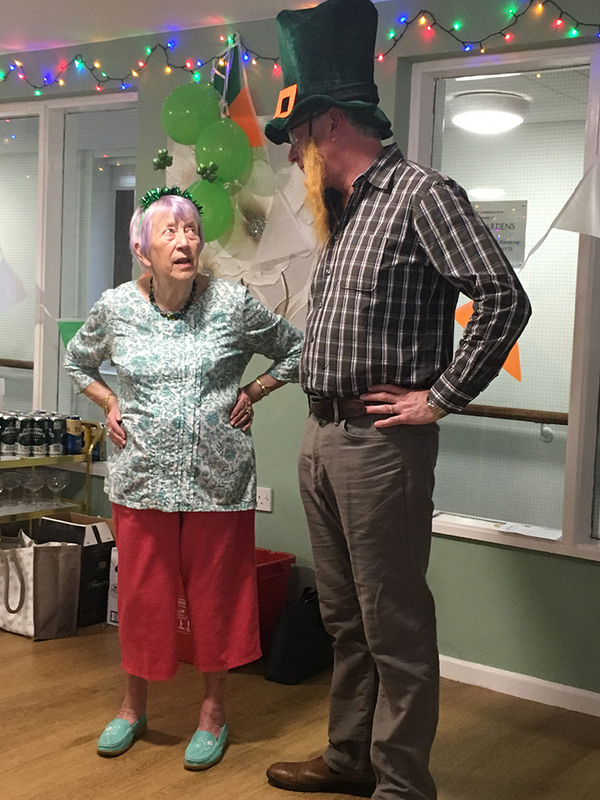 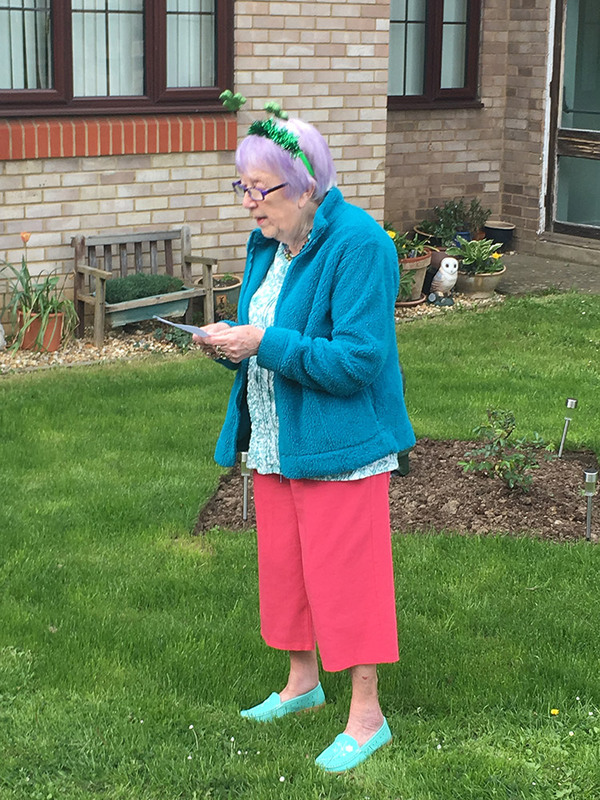 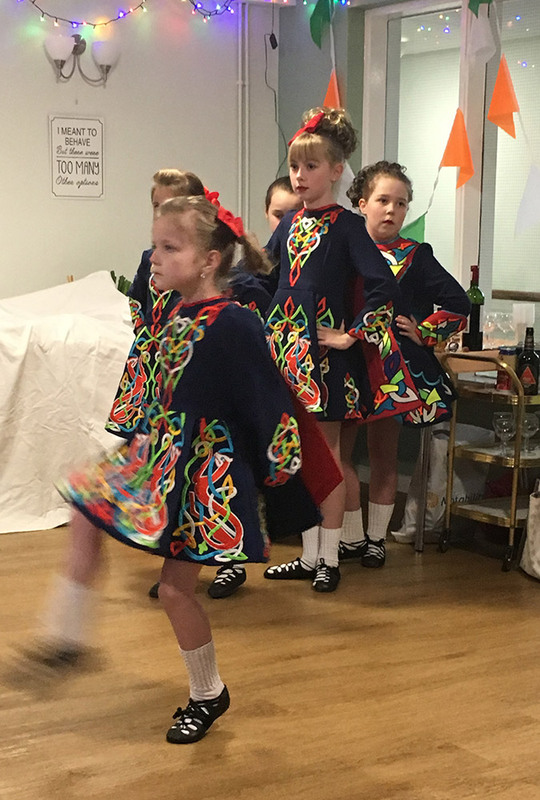 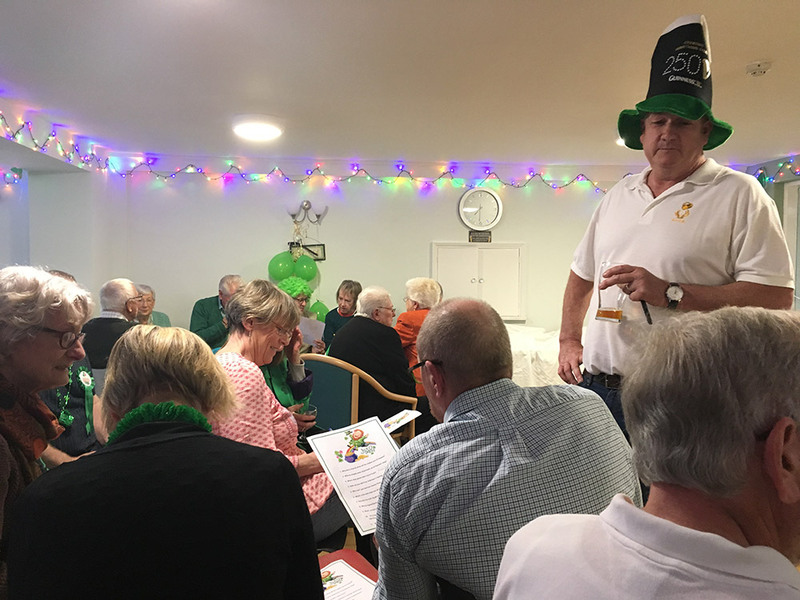 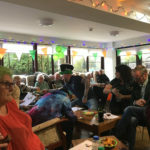 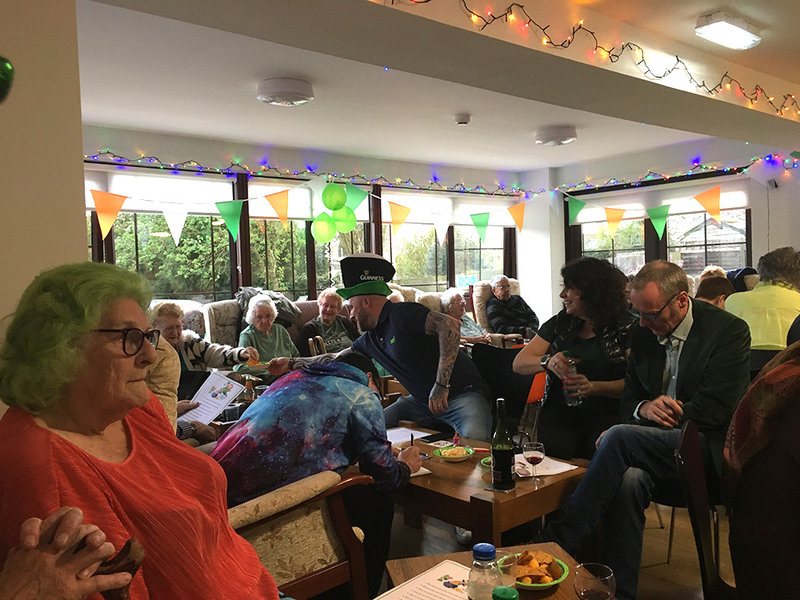 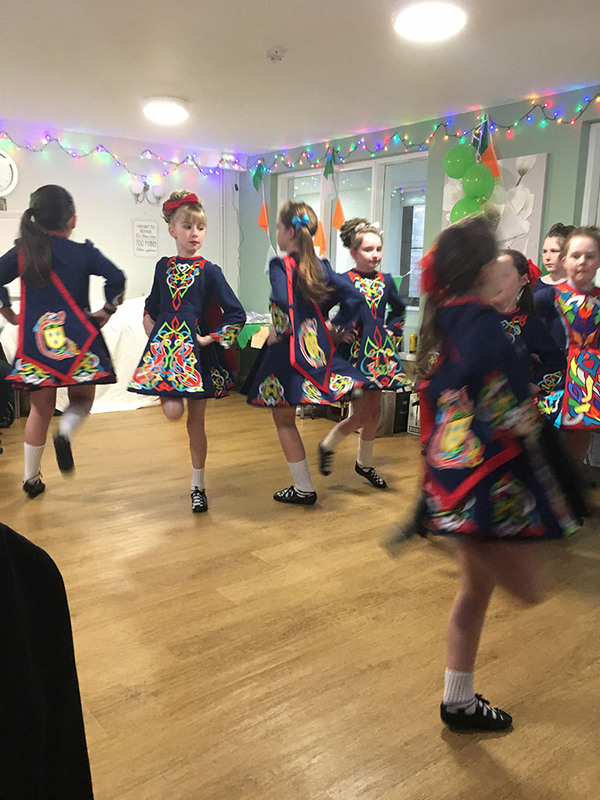 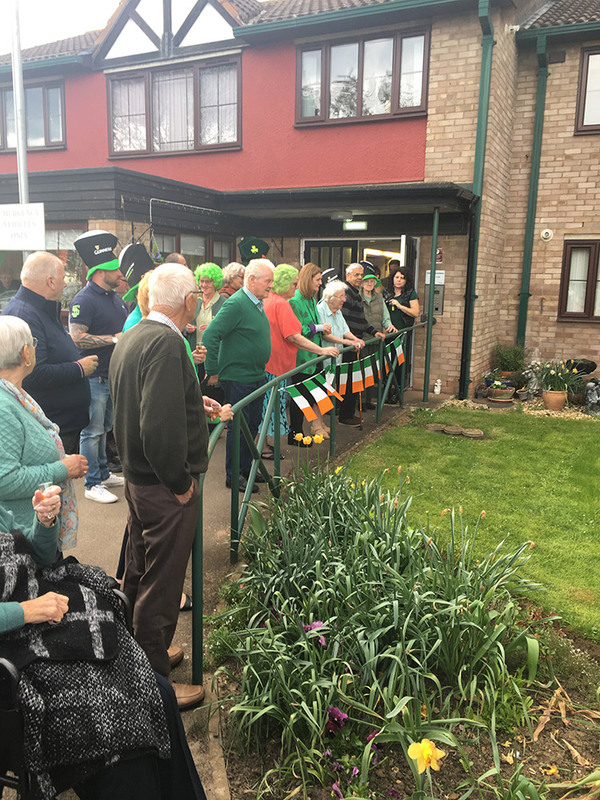 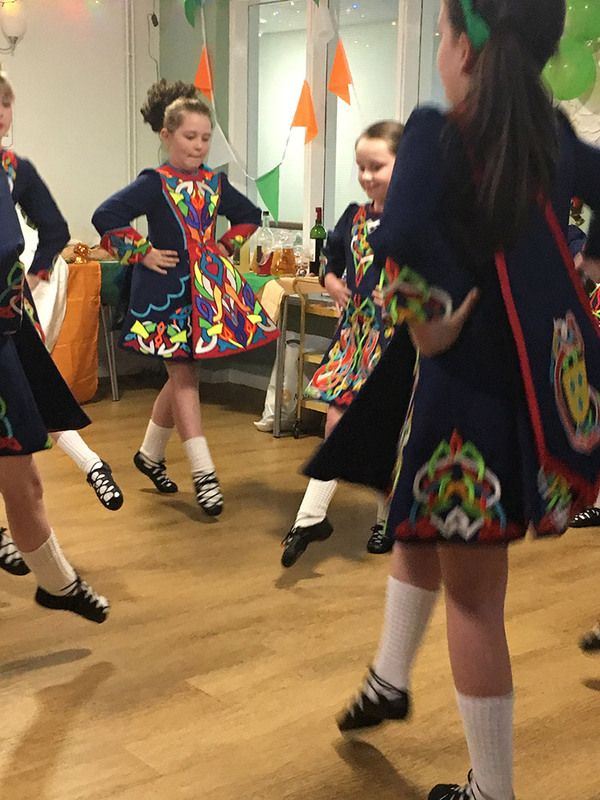 When the residents of Castle Gardens invited us to their Irish Night we were honoured to attend. 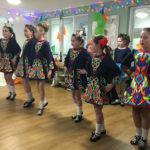 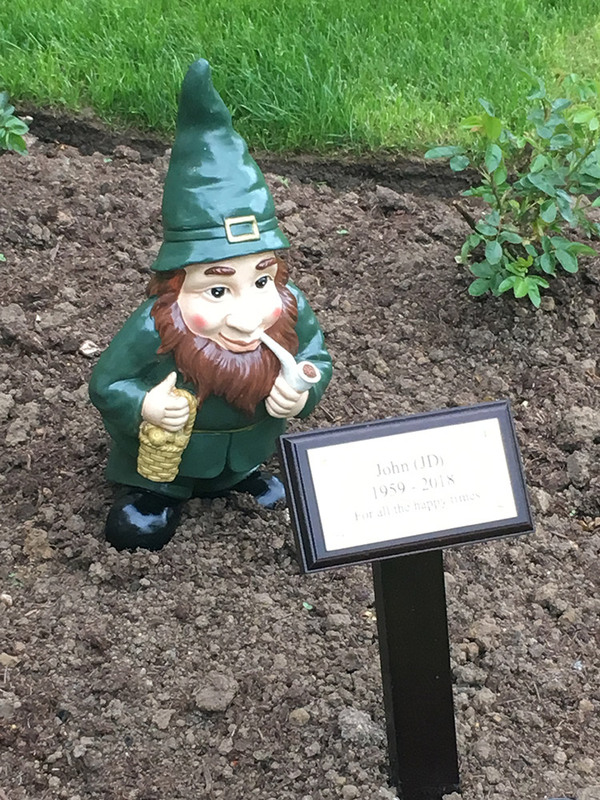 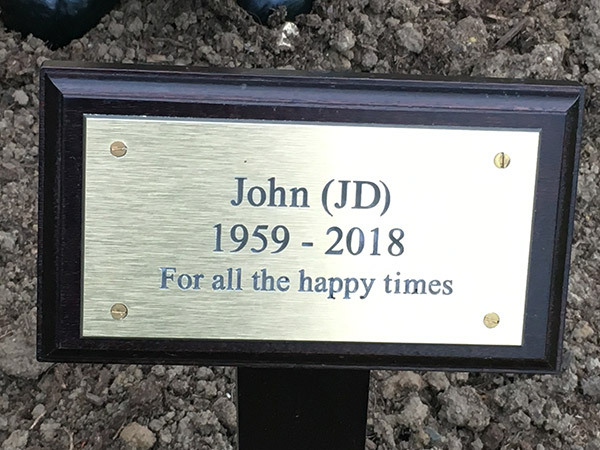 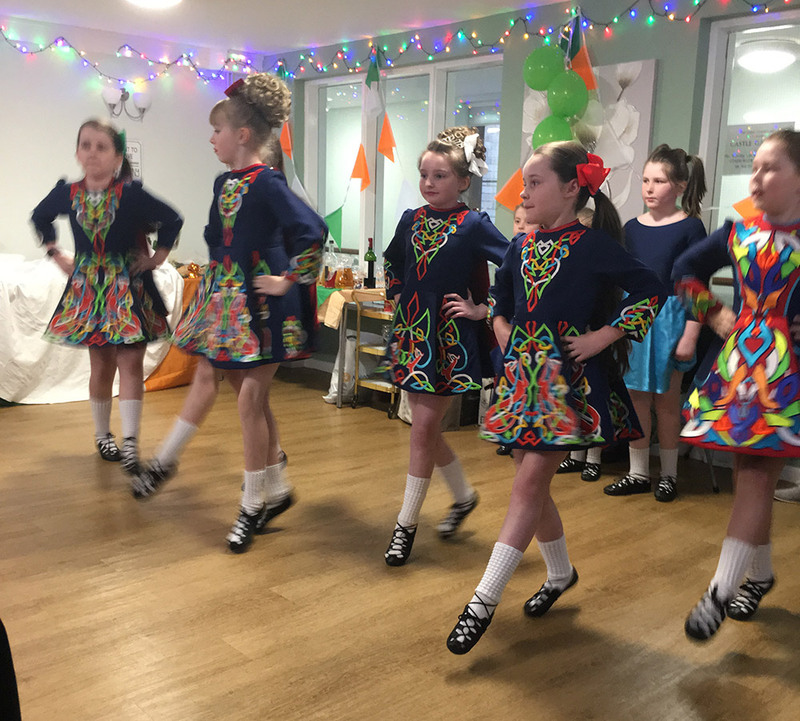 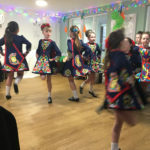 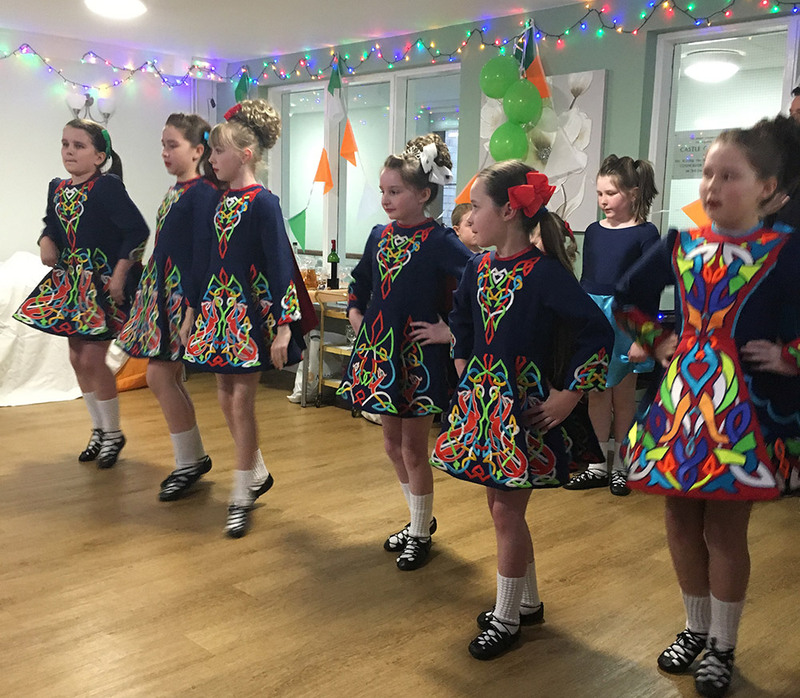 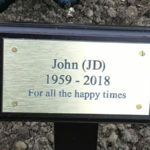 A night of Irish music, food and entertainment was planned in celebration of GVFB member John Doran (JD) – who regularly organised events and entertainment at Castle Gardens and was a friend to all. 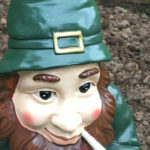 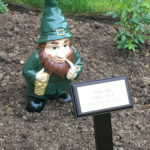 An Irish gnome and plaque were revealed, and we were then entertained by dancers from Costello Irish Dance. 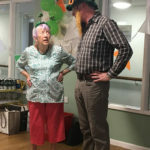 Kevin Costello and JD were good friends and Kevin kindly agreed to bring the dance group to Geddington to perform for us. 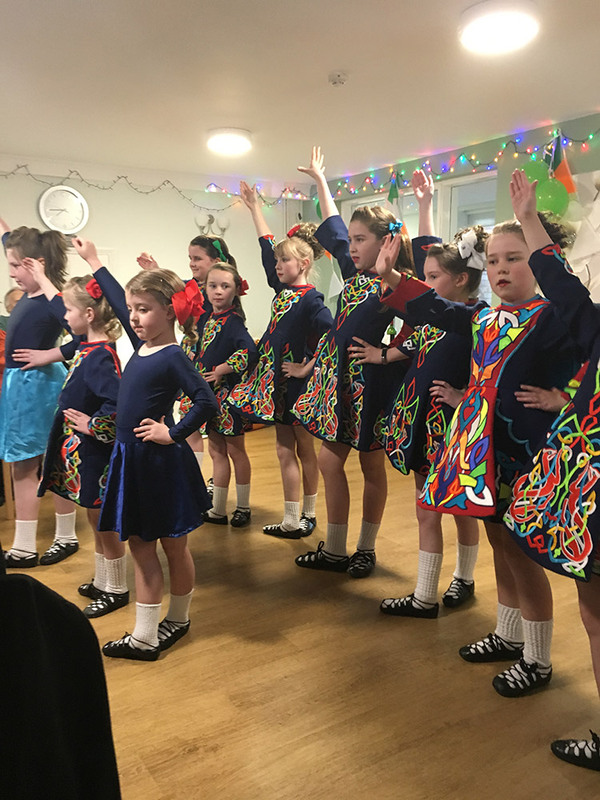 The award winning girls performed a number of dances and totally charmed and delighted the audience. 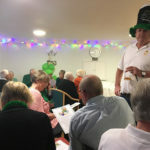 We’d like to thank all at Castle Gardens who made our evening so much fun! 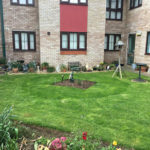 We took some photos which are below – we hope you enjoy them! 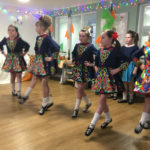 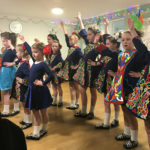 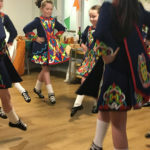 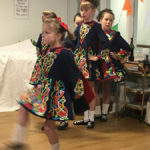 Costello Irish dance are on Facebook or can be emailed on kevin.costello@hotmail.co.uk. 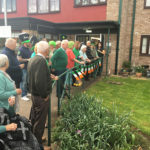 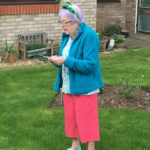 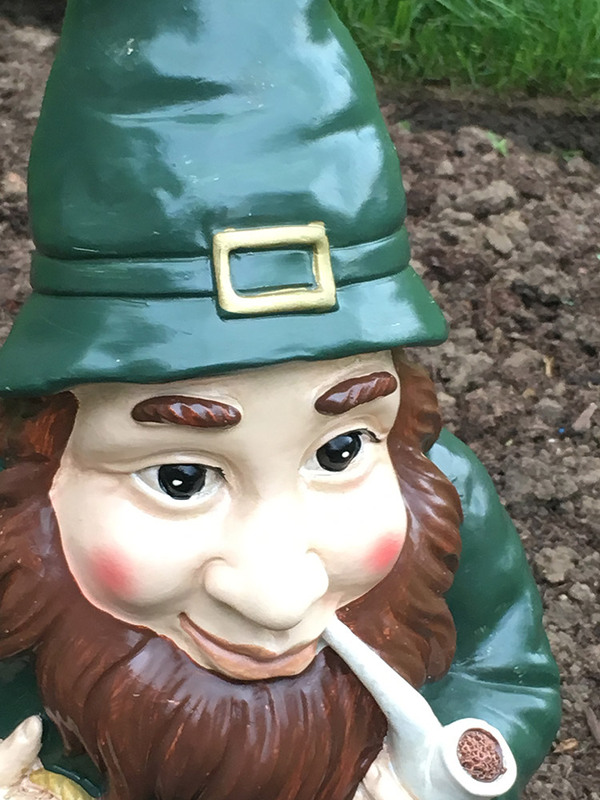 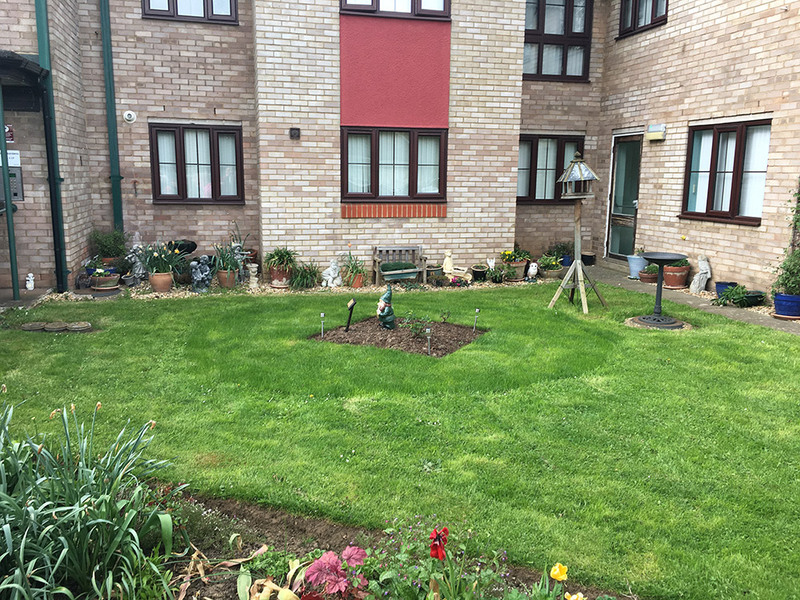 This entry was posted in Community and tagged castle gardens, doran, jd on April 27, 2018 by jack.